The Sisdole landfill site in Nuwakot got packed with the waste forcing KMC to halt the collection for nearly a month. Not only the space but also the road to ferry the waste is damaged. Efforts are underway to repair the road and create more space in Sisdole, which would take a week, said the KMC. 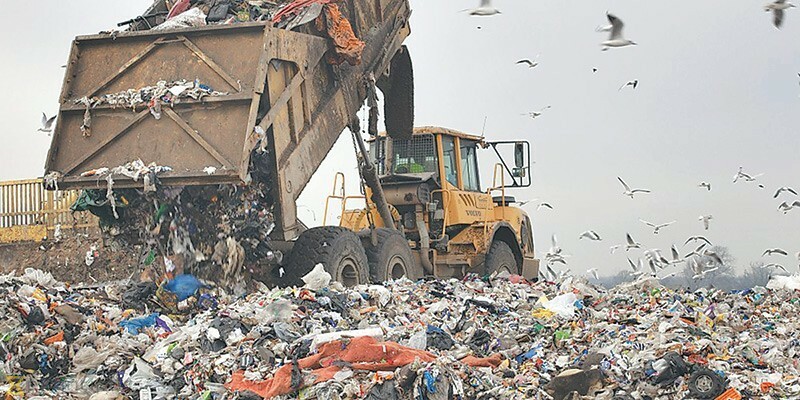 Joint Spokesperson at KMC, Nabaraj Dhakal, said the regular management of waste was disrupted as it witnessed early rainfall causing damages on the road to landfill site. However, all works for the management would complete in a week for regular collection of the garbage. He requested all households not to take out the garbage but try to manage within homes for at least a week. Meanwhile, Sita Sharma living in Kalaki, Kathmandu, said as this season sees comparatively more waste, frequent collection of waste is expected. But, KMC has not sent any container to pick the waste, she added. "Heap of garbage began emanating stench, but it is not sure when the KMC sends containers. If it continues for some days, it may spread disease," she pointed out the urgency. KMC manages 500 metric tons of waste daily, while it is double from the Kathmandu Valley. It was 12 years back that KMC had taken Sisdole for two years for the management of waste from Kathmandu Valley, but it is continuous till now going beyond the contract, according to the people from Sisdole vicinity. An employee at environment department of the KMC, Yubaraj Khanal, said although the KMC was said to build a landfill site at Bancharedanda of Nuwakot for long term solution, no works were initiated to this regard.